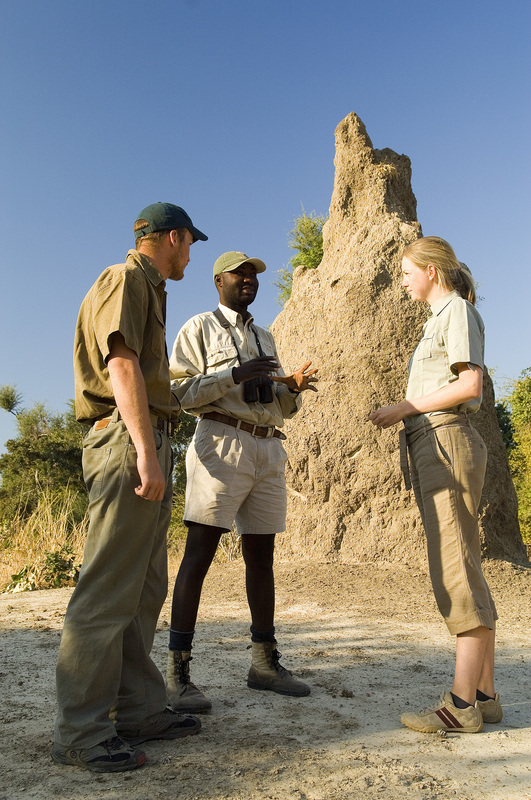 What do I need to bring for a walking safari? When we send you away we’ll make sure to give you a packing list, but this is one situation in which your clothing is essential. Your guide will do much to ensure that you avoid bumping in to the wildlife unexpectedly. It’s important to avoid startling the game, so natural, muted colours that blend in with the landscape are essential. Avoid brights, including white. Also, ensure that you have a wide-brimmed hat. Although you’re unlikely to walk during the heat of the day, the African sun can be extremely hot. We’ve found sturdy trainers to be just as practical as a pair of walking boots, and considerably less heavy if you have a limited baggage allowance. Finally, this is one situation in which we’d be tempted to leave the camera back in camp. When you’re walking around, carrying a heavy camera can be rather a burden, and we often felt that gazing at the bush through a lens tends to cut you off from it, meaning you’re missing out on much of the joy of a walking safari. Instead, binoculars can easily hang around your neck, and will mean you can get a good view of all the wonderful birds whose songs you can hear. If you absolutely must bring a camera, a bum-bag style carrying case will leave your hands free for a natural gait. Alex has planned two fabulous holidays for us in Africa! Her intuition regarding what a traveller wants and her deep knowledge of the African continent is par excellence! What I love about Alex is that she is definitely NOT an order taker. She has persuaded us to try alternate locations than our initial intention with amazing results! While on our holiday, she checked in with us from time to time to make sure all was going as expected. Of course, it was going even better than imagined! I look forward to our next African holiday and absolutely intend that Alex will plan it for us and be with us in spirit!